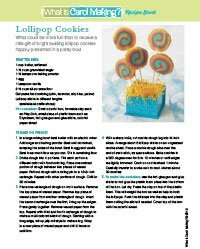 Food Crafts and Food Gifts to make with the entire family. 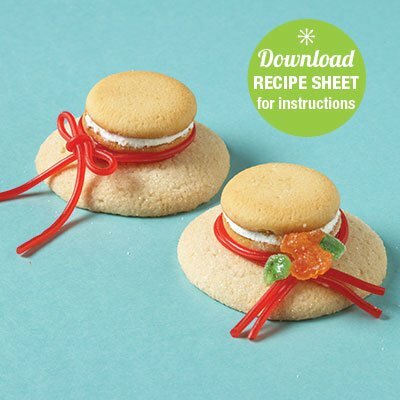 Easy and fun Food Craft and Gift Ideas. I love to make Food Crafts—that is, making unexpected things out of food that are totally edible! These projects are great to do with kids or with clubs or groups of adults or kids. And what could be better than giving Food Gifts! Gifts from the kitchen are always appreciated—especially when they are as yummy as these! Scroll down on this page and see all of the clever food crafts and food gift ideas we have for you! 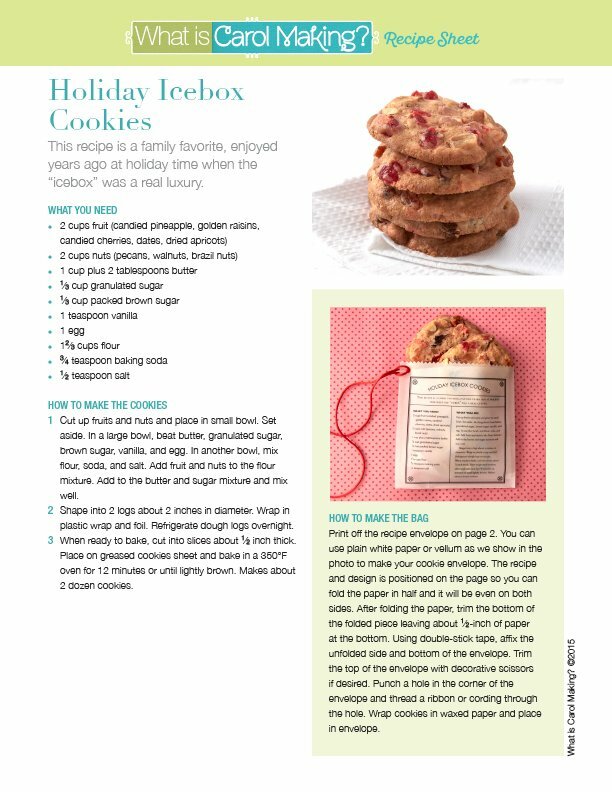 Then choose the FREE Recipe Sheets you want to download. Enjoy. It couldn't be easier! 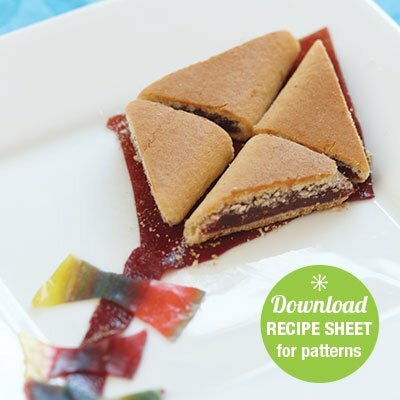 Fig Newtons and fruit leather combine to make these clever little cookie treats. 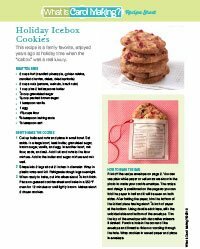 Download the Recipe Sheet at the top of this page for complete instructions. 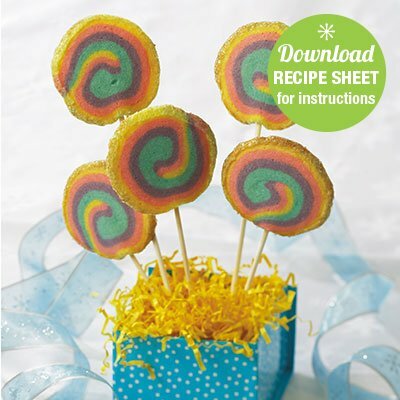 Roll up some fun and slice it off to make these colorful and super tasty lollipop cookies. Present them in a colorful box for the perfect gift—any time of year. I love cookies, and having them on a stick to eat like a lollipop is just too cool! 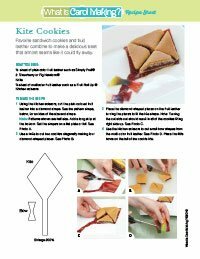 Download the Recipe Sheet at the top of this page for complete instructions. 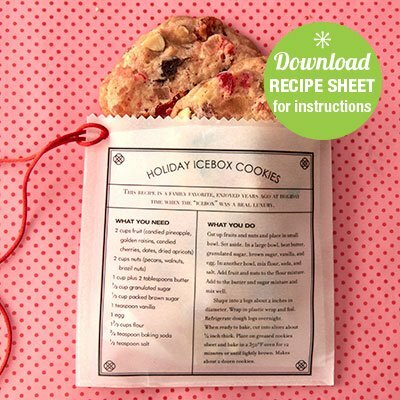 Bake up a batch of these fruity Icebox Cookies and present them in a clever little sack. These cookies are like a crispy fruitcake—and you will love them! 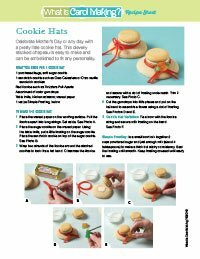 Download the Recipe Sheet at the top of this page for the recipe and a printout for the cute little pouch.